♨ Moz 2014 Local Search Ranking Factors; ♨ Twitter’s new Audio Cards; ♨ Tweets from people you don’t follow; ♨ Facebook beats YouTube in views; ♨ “Survey Funnel Formula” webinar replay; ♨ +Post Ads campaigns directly from Google+; ♨ Facebook now has stickers; ♨ Google's biggest competitor is Amazon; ♨ Chat with doctors when you search for symptoms; ♨ Google has released Android 5.0 Lollipop; ♨ Apple has released new iPads, iMac, and OS X; ♨ Free download of OS X Yosemite; ♨ Change your Dropbox password! ♨ ...and more. If you’re like the close to 100 people we had on the live call… I think you’re going to love this training. It’s worth checking out the webinar JUST so you can get free access to the one-page flowchart Ryan and his team use to document his entire funnel from start to finish… If nothing else, you should download this flowchart. Moz 2014 Local Search Ranking Factors Results are out. Is your site mobile-friendly? If it isn’t, Google will now say so to mobile users in search results. You can now listen to podcasts, music and other types of audio content on Twitter via Twitter’s new Audio Cards. It’s official: Twitter will now show you tweets from people you don’t follow. Facebook delivers a billion more desktop video views than YouTube in August… and here’s why it’s less than impressive. Facebook has introduced Safety Check – a simple and easy way to say you’re safe and check on others. New on Google+: Set up +Post Ads campaigns directly from Google+. Google+ tip: How to increase traffic to the new event page with one clever comment. Google’s Eric Schmidt in his speech in Berlin: “Really, Our Biggest Search Competitor Is Amazon”. Google trial lets you chat with doctors when you search for symptoms – at Google’s expense. Apple’s OS X Yosemite is finally available to download for free. Google has released Android 5.0 Lollipop, plus the new Nexus family of devices. Apple had its own show-and-tell iPad, iMac, and OS X event; here’s everything Apple announced. Just came across to your blog and I’m very happy to be here on this amazing post. I’ve checked some of the articles you’ve mentioned here. Found very helpful. Thanks for creating and sharing this fantastic list with us! Thanks for coming by, Mustafa. Thanks again Ana for this quick and reliable digest of “all things content marketing”. All the Marketing Skinnies going back are useful but I wanted to report to you on the most useful part for ME. It’s the “Thank-You” section you reserve for folks that mention TGC. In it I find a gold mine of new bloggers I want to subscribe to. Because they linked up with TGC, they are part of a conversation I want to join in and contribute to as well! The thoughts expressed here and in their blogs deepen and broaden my own understanding about engagement and value creation. Anyhoo, we’re all very thankful for the conversation you are hosting here. It’s what brings us back to TGC. Now I’m off to grab myself a cuppa. I am sooooo glad you said that, Kurt – I too discover many new faces and useful knowledge that way. Here’s to all the generous folks out there who teach us every day how to market our businesses better simply for the love of blogging! First I haven’t really been following your Weekly Marketing Skinny until today when I saw these marketing news on Google+. Anna I must thank you for what you are doing here. I had to quickly head over to Dropbox to do the needful on reading your post. Is always good to act and then watch while the event unfolds. Thank you for that pick. Now to the mention, I think I am the person to thank you more Ana! I took a decision to follow people who add value and happiness to other people and you perfectly fit in and so mentioning you on my as one of the most influential female bloggers online is something I would be glad to do over again. You really made my weekend Ana. I feel so good seeing two of my posts featured on your awesome blog. Thank you once again. Sorry it took me a while to get to your comment, Jackson. So glad I introduced you to the world of my Weekly Marketing Skinnies; I hope they’ll make your blogging life a lot easier.  I am truly honored you decided to follow me – look forward to seeing more of you at Traffic Generation Café.